Saka Maka is a small but lively Indian café - its name derives from the chefs’ backgrounds in hotel kitchens where ‘saka maka’ means working hard and keeping things innovative. Now bringing their passion and drive to their little kitchen in Brockley, the locals have shown the love for the authentic, reasonably priced food that’s something a little different from your run-of-the-mill curry house fare. Make sure you try the daal bukhara - black daal, slow cooked for 24 hours to an earthy, creamy consistency and wash it all down with a warming, delicately spiced masala chai. Your South London Club card gets you 10% off the bill when you eat in too! Bringing you the more traditional British balti experience is Royal Tandoori. Their menu’s huge but you know that the ingredients are fresh and the dishes are crafted with care. They’ve amassed a loyal clientele, some of whom have been coming back for over 20 years for the perfect heat coming off the chicken madras, or the melt in the mouth lamb jalfrezi. And just to sweeten the deal, get 20% off with your South London Club Card. A family-run deli offering up perfectly authentic dishes straight out of Malaysia. Customers travel far and wide to get a hit of their ‘volcano spicy’ sambal belachan (and to take a jar or two home) or a plate of tender beef rendang. They have a special curry that changes daily, great veggie options and the roti is not to be missed. Your South London Club card bags you 10% off everything. Another family affair, this time a mother and daughter duo hailing from Pakistan. Their simple ethos ‘food is love’ is evident in their monthly rotating menu of aromatic tasty flavours - try the lamb, however it comes, it’s guaranteed to be soft and rich - and is perfectly complemented by the bespoke ‘masala lager’, specially brewed for Masala Wala by local Brockley Brewery. Large portions perfect for sharing. Clean, authentic flavours that pack a punch. Tonnes of choice, whatever your curry craving you can pretty much gurauntee it will be sated here. The takeaway service of curry kings Babur, just down the road in Honor Oak Park, you know this one’s gonna be a winner. If you’re a thali freak (like me), they got you. The vegetarian options are incredible and the menu is stacked with regional specialties: Goan tilapia curry; Gujarati pumpkin sauted with onion and spices; Bombay potatoes, need I say more? An independent Indian/Nepalese occupying contested territory on the border of Crofton Park and Honor Oak Park, Everest Spice features flavours only to be found at the Himilayan tip of India, and Nepal - as well as a more traditional selection of curry house favourites. 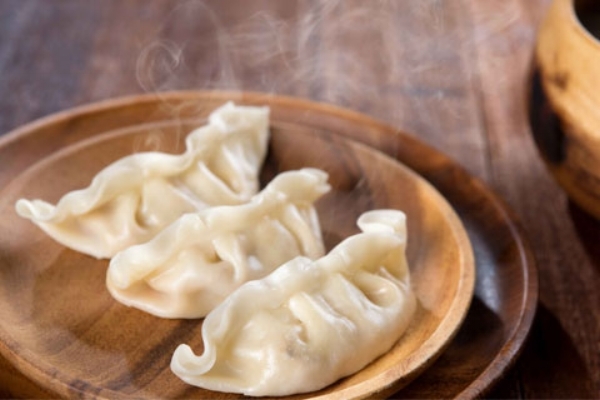 Standouts are the momos - glutinous dumplings filled with either lamb or vegetables that really show off the area’s Chinese influence.